Yulia Priymenko, a Ukrainian artist is just plain talented! 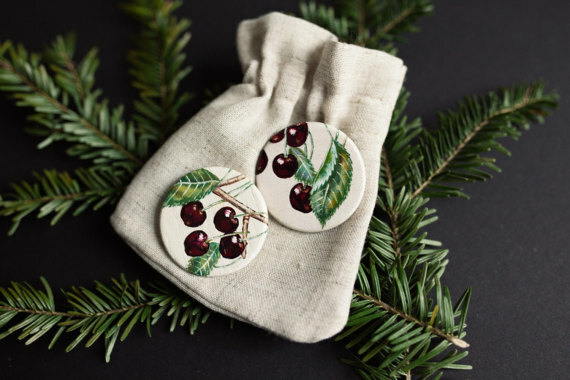 Her Etsy, YourMoodYourWood, showcases her artistic skills with her one of a kind hand painted wood accessories. 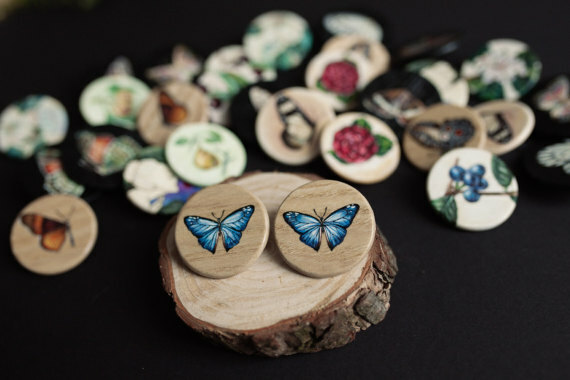 Large round wooden discs are beautifully painted with butterflies and flora indicating her love of nature. 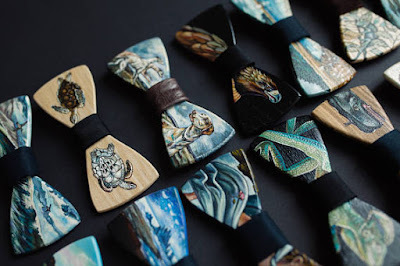 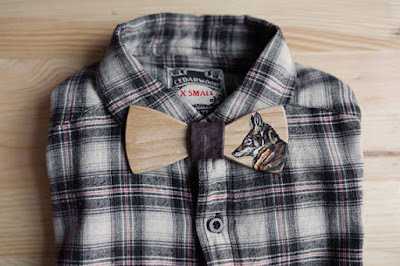 She also hand paints wooden bow ties - a unique and novel accessory indeed! 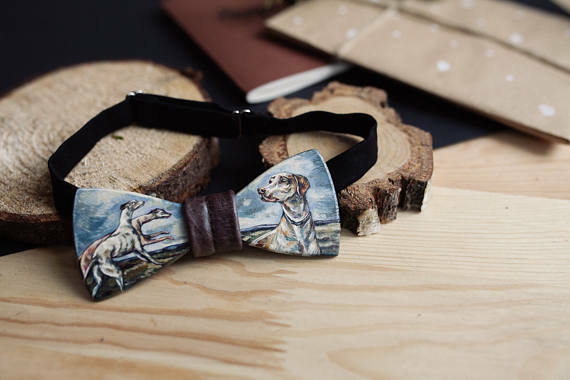 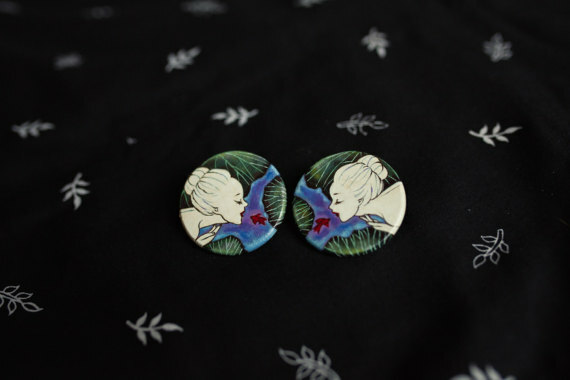 She is also an animal lover as many of her designs feature animals of all kinds. Also noteworthy is the way she photographed her accessories, both singly and in groups. 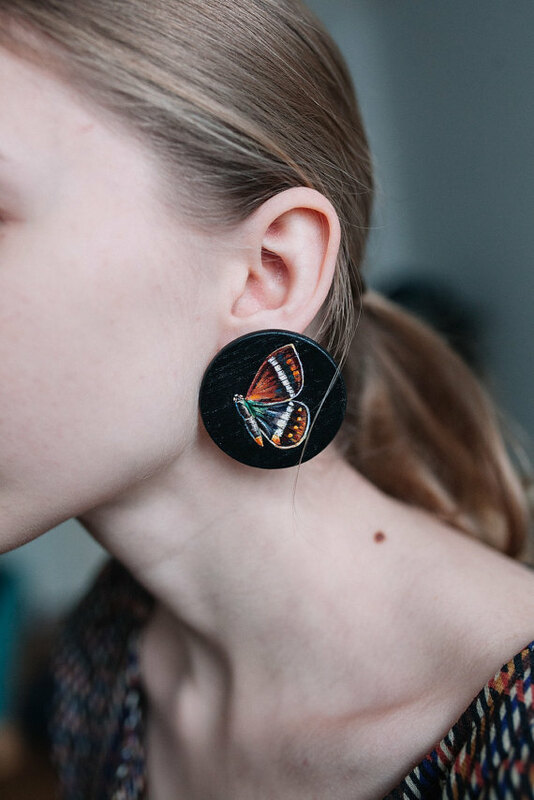 She does have a very good eye for what looks good! 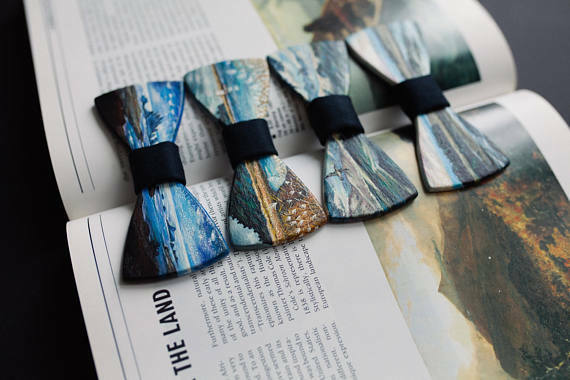 Recycle a Neck Tie into a Necklace and a Purse!